Get your weekend off to a great start by sharing in this Eastside tradition. 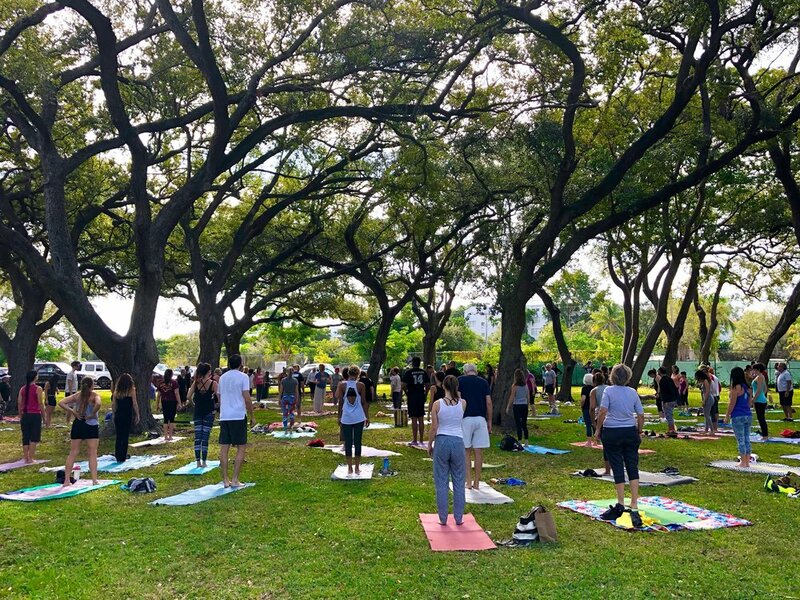 Join Anamargret at 10 AM each Saturday for one of Miami’s most popular and long-standing community yoga classes. Practice in nature by the bay at beautiful Legion Park then cap the experience by visiting the East Side Farmer’s Market for fresh produce, eats, and wares. This is a great way to spend time in one of Miami’s most vibrant neighborhoods. This event is free, and kid, and dog friendly. Get free tickets to this community event at eventbright.